PARIS, France – International news and current affairs TV station, France 24, has purchased three Studer Vista 5 consoles — all of which have been installed over the past two past months. The Paris-based channel was launched in December 2006 to broadcast French news throughout the world in French, English and Arabic. It immediately became so successful that today it broadcasts 24 hours a days in French and English, and ten hours a day in Arabic (with Spanish due to be added shortly). 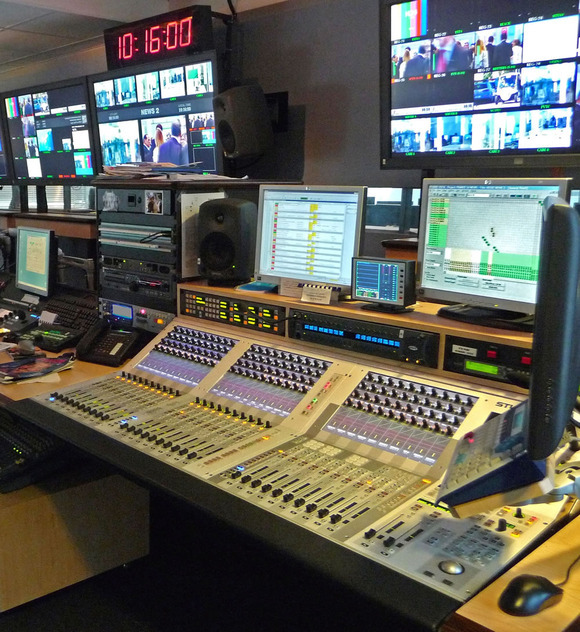 Since the complexity of multiple translations was making operation more and more difficult, France 24 decided to replace its three on-air consoles with Vista 5s, placing the order through Studer’s French distributors, Audiopole. And so they took the decision to purchase the Vista 5s, which are installed in the three identical on-air studios, after evaluating other market-leading brands, but knew the Vistonics™ touch screen interface made the Vista 5 unbeatable for on-air operations, while the new SCore Live DSP platform would give them vastly extended capacity. The compact size of the Vista 5 presented a further compelling argument, since studio space is restricted. Each console is identically-equipped with 12 mic inputs, 32 analog line inputs, 40 analog line outputs and 32 AES in/out. The analog line inputs are used for telephone lines coming from a Studer Call Management System (CMS) and translation booths. The AES I/O’s are used for links to the video servers. Audiopole has enjoyed an association with France 24 extending back to the very beginning, when the company sold a talkback system. It was the subsequent sale of that CMS — the first in France — that marked the station’s first experience with the Studer brand. “They were very happy with the product and the support we gave,” Blanchard reflects. He added, “The Vista 5 will allow us to work with 32 simultaneous sources instead of the 24 we had before. During live operations and translations everything is under finger control, which allows us to be more reactive and responsive."